30-minute sessions begin every half hour between 2:00 PM and 3:30 PM. Event concludes at 4:00 PM. Take up the challenge in the Flight Sim Zone! 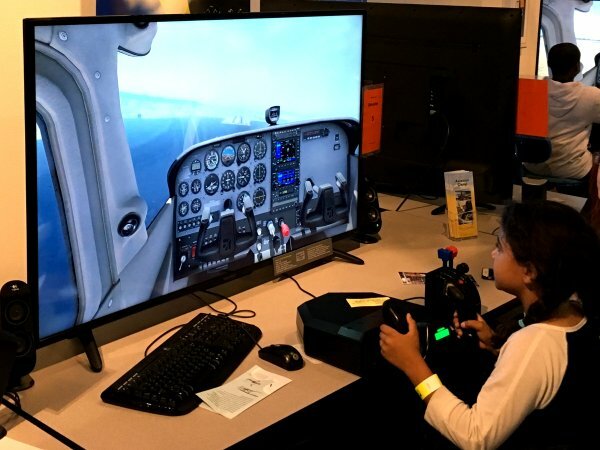 The Flight Simulator Rally, held monthly in the Hiller Aviation Museum’s Flight Sim Zone, presents participants with a specific mission in simulated flight. Each 30-minute session provides ample time for participants to learn a particular flight, then ends with a challenge flight to achieve the best possible results! 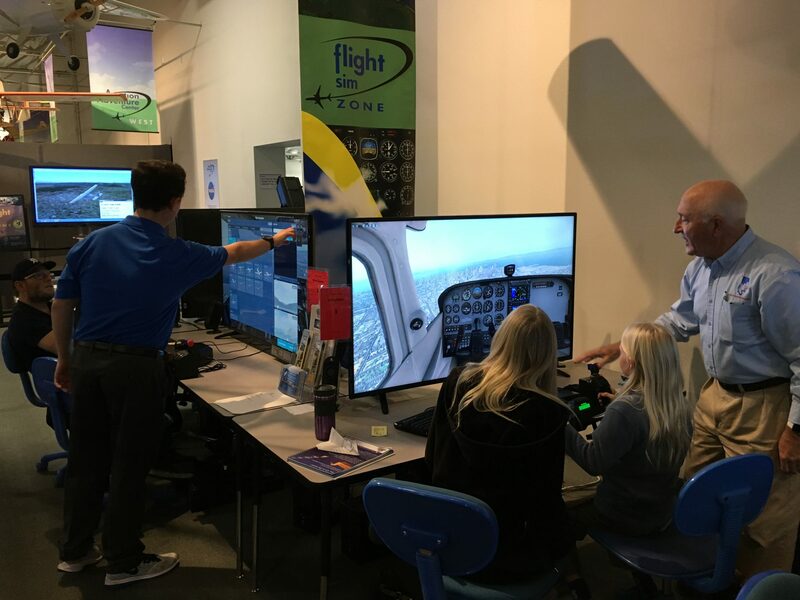 The Flight Sim Zone features a full lab of high-fidelity flight simulators, each equipped with realistic flight controls, high speed graphics processors, and dramatic widescreen-format monitors. 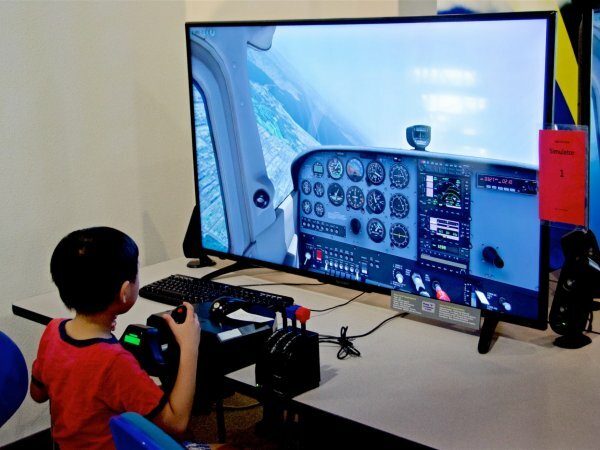 Using state of the art flight simulation software, the Flight Sim Zone provides an exceptional recreation of flight suitable for non-flying novices and veteran aviators alike. 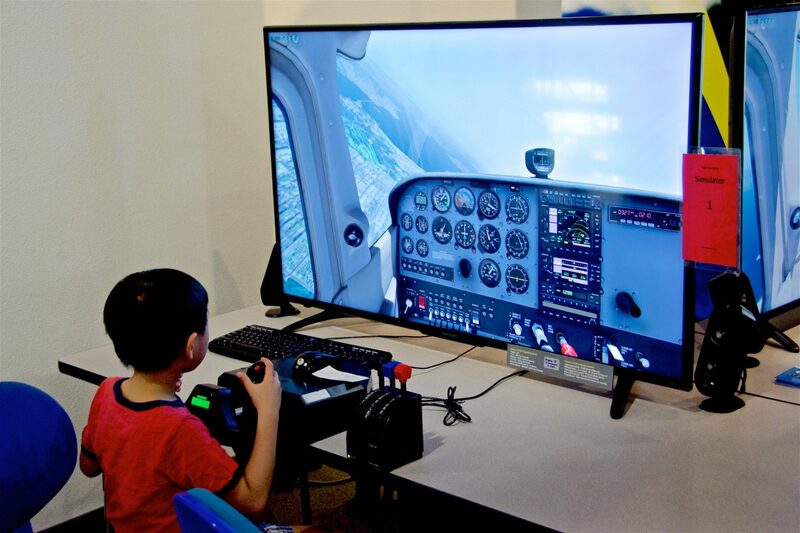 Pilots ages 8 and up are welcome to join each month’s Flight Simulator Rally. The event is included with Museum admission, but space is limited. Participants must secure a timed ticket from the Admissions counter in the Museum Gift Shop on the day of each program. Flown over 100 times between 1981 and 2011, NASA’s space shuttle launched like a traditional rocket but landed on a runway. Fly the exciting final approach phase of a space shuttle landing in the Flight Sim Zone using a realistic re-creation of this iconic aerospace plane. Take wing in a super-small ultralight aircraft. Master short field takeoffs and landings, then make an approach to one of the world’s smallest airfields on the island of Saba in the Caribbean. Experienced pilots attempt to repeat the feat in a Cessna 172 – precision in required to stay on the runway! Learn the art of controlling a helicopter in flight, then take the controls to guide a modern chopper to a pinpoint landing!